Tshimologong Digital Precinct, Wits Art Museum and Fak’ugesi African Digital Innovation Festival are hosting a dynamic coding exploration for creative coders. 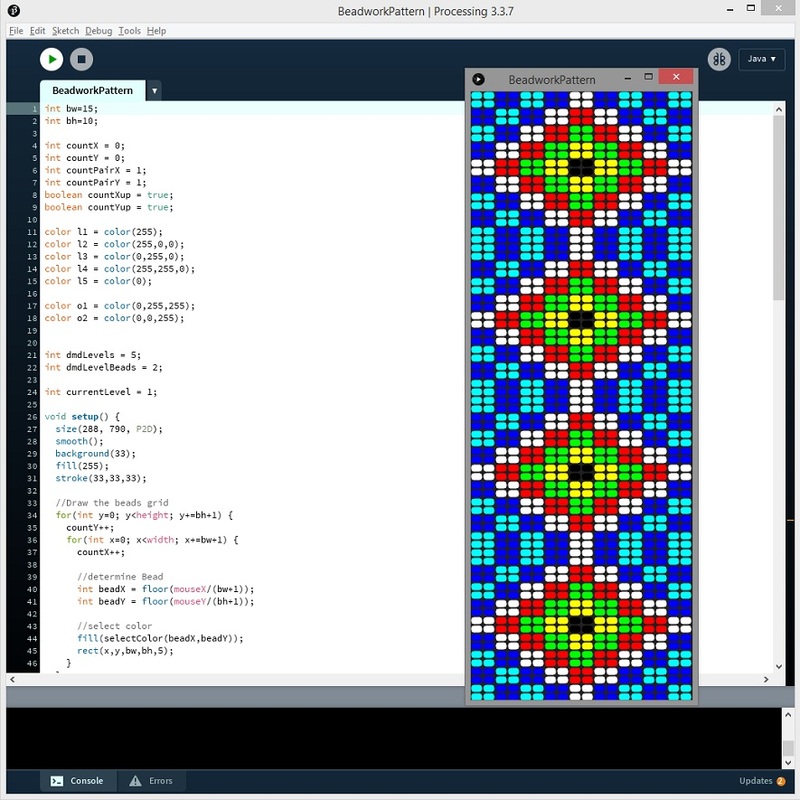 Using beadwork from the WAM collection, Tegan Bristow and Alex Coelho will illustrate and invite exploration of beadwork patterns as a reference for complex mathematics in coding. Bristow and Coelho invite creative coders working in any medium to join them in exploring the complex layers of beadwork in code. The workshop forms part of the exhibition “Digital Imaginaries: Premonition” and is a series of engagements that explores the notion of vernacular algorithms. Please join in by registering on our quicket page.